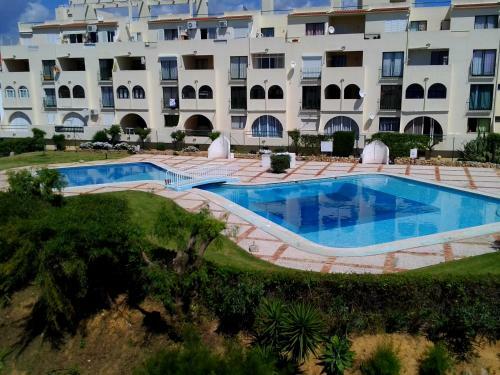 Apartamentos Maritur offers free private parking and is located 3 Km from Albufeira city centre and 10-minute from São Rafael Beach. The apartment’s complex includes an outdoor swimming pool with a sun terrace. Set in Albufeira, this air-conditioned apartment features free WiFi, a spa bath and a terrace. The unit is 500 metres from Old Town Square. Free private parking is available on site. 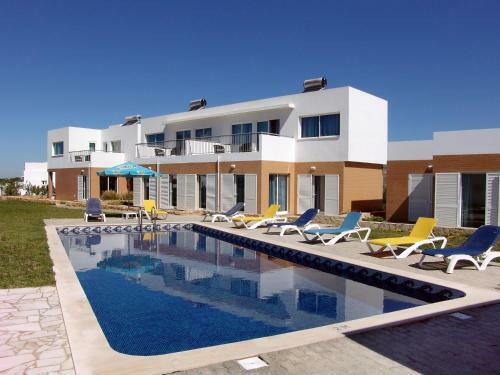 Located in Albufeira, Apartamentos Poente da Aldeia offers access to an outdoor pool. The property is 400 metres from The Strip - Albufeira and 800 metres from Oura Beach. Each apartment will provide guests with a balcony and barbecue facilities. 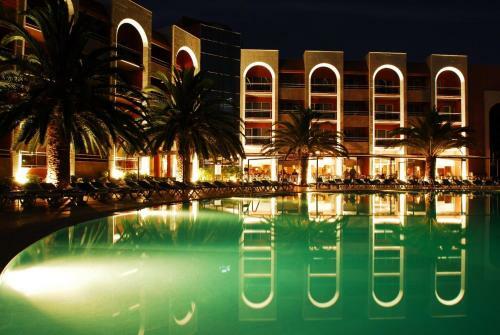 Surrounded by large gardens, this hotel offers a free shuttle service to Falesia Beach, a 5-minute drive away. It has indoor and outdoor pools and a hot tub. Offering an outdoor pool, Hostel DP - Albufeira is located in Albufeira. Free WiFi access is available. Most of the renowned beaches of Albufeira are within 3 km.